The Gower coast is one of south Wales’ best kept secrets. When I was very young we went there every summer and stayed at Oystermouth (also called Mumbles after the rocks just off the coast at Bracelet Bay where the lighthouse stands.) 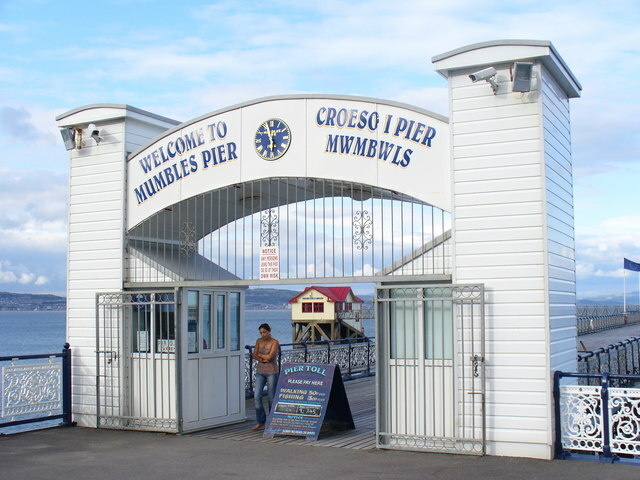 Mumbles is the gateway to the Gower coast and an ideal place to stay. It was famous for its “golden mile” of hostelries but now it has a slightly more up-market image, with Tenby in West Wales being the place for pub crawls these days. Oystermouth has a ruined castle overlooking Newton Rd. where you can find traditional Welsh crafts for souvenirs as well as most of the shops in town. In the castle grounds in summer you can watch theatrical performances. The castle is said to be haunted by the ghost of the white lady and there are several sightings of her reported in the castle grounds. I was privileged to be taken around the castle many years ago by the caretaker and groundsman, and peered into the dungeon to see the whipping post. I was told that if you walked around the whipping post three times and then stuck a pin in it you would see the ghost of the white lady. I remember having nightmares afterwards. 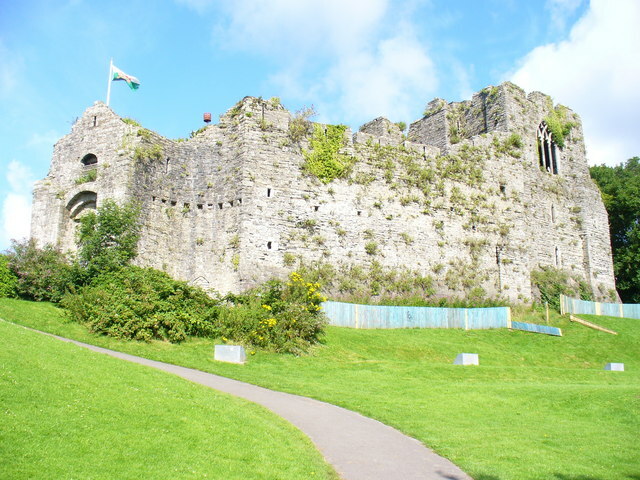 Oystermouth castle is said to be connected via a tunnel under the sea, to Swansea castle, across the bay, and that is haunted, it is said, by the ghost of the blue lady. From Mumbles you can take the land train, the Swansea Bay Rider which runs from Blackpill to Knab Rock. This was one of my favourite things to do during the summer, apart from staying up late to see the illuminations. This small narrow gauge railway opened in 1807 and is thought to be the oldest railway for transporting people. 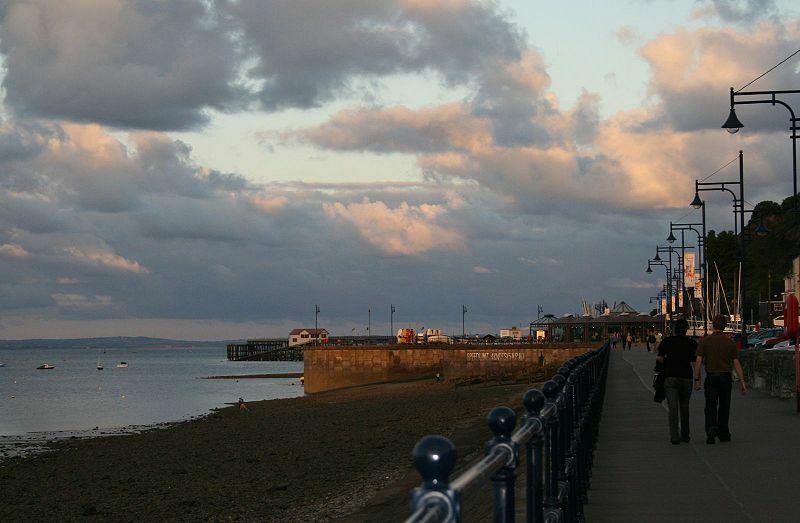 Oystermouth has a Victorian pier where you can fish, which is home to the lifeboat and it is pleasant to take a stroll along it on a sunny evening. 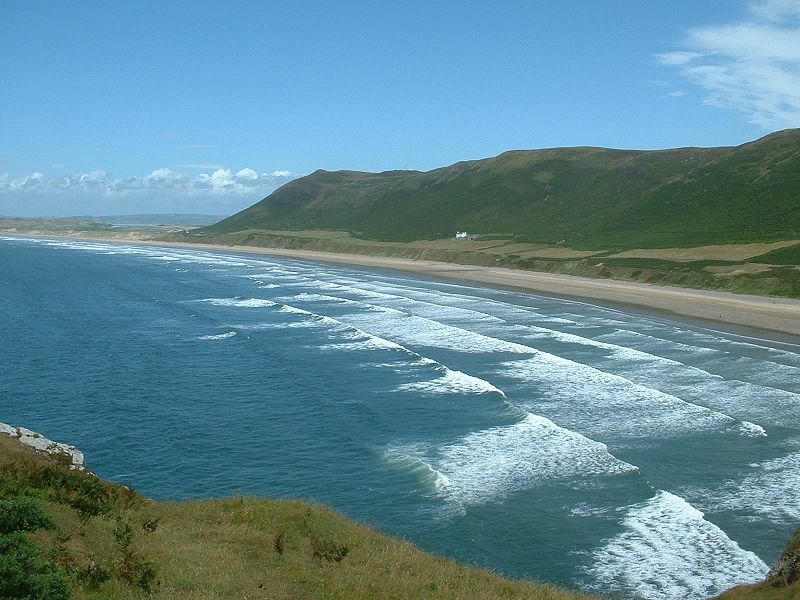 You can go surfing at nearby Caswell Bay and there is also good surf at Rhossili Bay which also boasts a huge expanse of sandy beach, with interesting rock pools left behind by the tide. I have spent hours there looking at seahorses and anemones, as well as crabs and small fish. It’s a great beach for kids, as is Caswell. Oystermouth is also a good place to start a cliff walk and you pass Bracelet and Limeslade Bay on your way to Langland Bay, then you can continue past the golf course to Caswell Bay. Often you can look down and see seals cavorting in the sea or basking on the rocks below. Very occasionally you see dolphins too if you are lucky. The cliff walk continues to Brandy Cove, so called because of the smuggling activities of the locals in the past. That part of the cliff walk is not recommended for the elderly however as there has been some erosion and you have to be careful in places. It is possible, however, to walk around the Gower on the cliff paths. 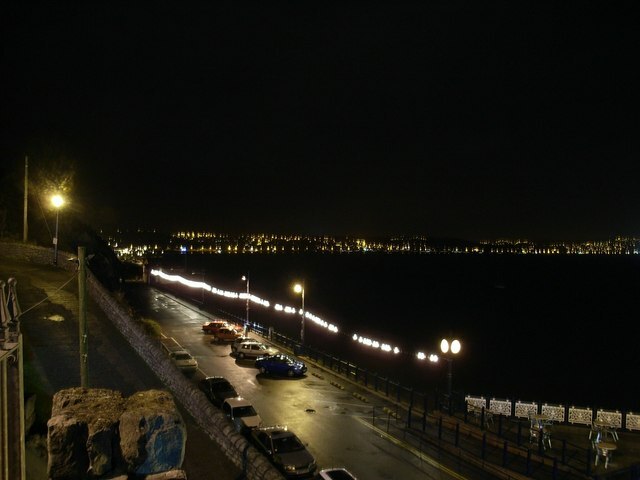 Oystermouth, or Mumbles is only about 5 miles from Swansea, so if you get bored you can always hit the night spots in the city. 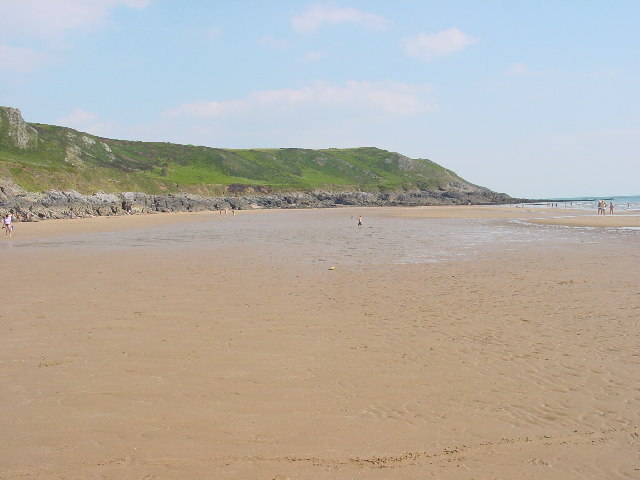 The Gower has something for all ages and is recommended for a visit. You won’t be disappointed! I have travelled extensively both for business (I am a teacher and teacher-trainer of English as a Foreign Language) and pleasure. I have just come back from Pakistan where I lived for 4 years. I love Greece and have lived there for more than 10 years although not all at one time. This entry was posted in South Wales, Travel, UK and tagged Caswell Bay, Gower coast, Mumbles, Oystermouth, Oystermouth castle, pier, Rhossili, South Wales. Bookmark the permalink. Is it true,have you saw the white lady ghost? if yes who afried you or white lady? No I have never seen her! This is The Promenade, were you can find the soon-to-be Promenade View B&B. One of my favourite places in the world!